A journey that will make you believe in holiday magic all over again. Discover villages with fairytale houses and a friendly, festive atmosphere. Share traditional holiday goodies with the people who made them. Watch as modern children abandon their usual electronics and discover the enchantment of hand-carved wooden toys, as scents of cinnamon and roasting nuts fill the air. Embrace the holiday spirit in Germany, the land where many Christmas traditions began, and find the magic of the season in the smiles that you meet along the way. Arrive at Nuremberg Airport, where you will be transferred to the ship. 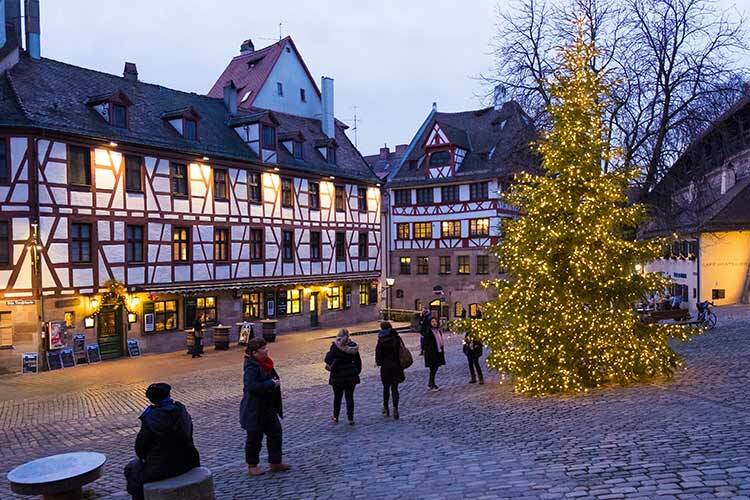 FEATURED EXCURSIONS: Nuremberg city tour with Christmas Market. During the Middle Ages, Nuremberg was the preferred residence of German emperors, as you will discover on your guided excursion. Visit Kaiserburg Castle, which rises high above the city and has housed every emperor of the Holy Roman Empire. Your tour continues along cobblestone streets to one of the largest and oldest Christmas markets in Germany, Christkindlesmarkt, where you'll get to shop for one-of-a-kind gifts and sample wonderful regional delicacies, such as authentic Nuremberg gingerbread. Join fellow guests at the Captain's Welcome Reception and Gala Dinner. One of the few cities not destroyed during the WWII bombings of Germany, beautiful Bamberg is a city built on seven hills. Wander through the narrow lanes of Bamberg's Old Town, looking for signs of the city's famous Nativity Walk, which links 40 churches, museums and public spaces displaying Nativity and New Testament scenes. Some of the figures in the scenes were carved centuries ago. Browse through delightful shops decorated for the holidays and search for treasures at the city's four Christmas markets—a traditional market, another featuring medieval cultural programs and two focused on local arts and crafts. FEATURED EXCURSIONS: Full day Rothenburg with walking discovery tour and Christmas Market. Travel along the "Romantic Road" to Germany's best-preserved walled city, Rothenburg. The medieval ramparts still enclose cobblestone lanes and half-timbered houses decked in holiday finery. In the heart of this fairytale gem, you'll find one of Germany's oldest and most celebrated Christmas markets, which fills the market square with the aroma of holiday treats, including a local specialty, the schneeball—a "snowball" of sweet, deep-fried dough covered in powdered sugar or chocolate. You will also want to visit Käthe Wohlfahrt's original Christmas shop and the delightful museum that displays vintage toys from as early as the 17th century. FEATURED EXCURSIONS: Exclusive Franconian "Village Day" and Würzburg Residence with Christmas Market. The spirit of the holidays really comes alive in an idyllic Franconian village, where you'll be treated to Franconian hospitality as well as their culinary delights, such as hot mulled wine and gingerbread beer. Learn more about how they celebrate the holidays with traditions that go back through the centuries before visiting the opulent Würzburg Residence, a UNESCO World Heritage Site. The 300-room baroque palace took nearly 60 years to complete and contains the world's largest ceiling fresco, created by Venetian painter Giovanni Battista Tiepolo, as well as what is often described as the most beautiful staircase in the world, by Balthasar Neumann. Your visit here will give you a true sense of the history of this region through the European Renaissance. Afterward, visit the town's 200-year-old Christmas Market for one-of-a-kind handcrafted treasures. FEATURED EXCURSIONS: Wertheim walking discovery tour with mulled wine and Christmas stollen demonstration. Join your local guide for a walk through the picturesque town of Wertheim. See the Spitzer Turm, or "Pointed Tower," built in the 13th century and once a prison for drunkards and feuding women; today, the tower's structure leans to one side after withstanding more than 800 years of flooding. Stop in the historic Market Square, lined with half-timbered buildings and shops selling artisan glassworks and Franconian wines in round bottles. Be treated to a cup of warm mulled wine as you watch a master baker make stollen, a traditional German fruitcake, at a private wine estate. FEATURED EXCURSIONS: Choice of Frankfurt walking discovery tour with Christmas Market OR exclusive "Taste of Christmas" walking discovery tour. Bustling modern-day Frankfurt shelters a surprisingly quaint and charming Old Town, full of traditional taverns as well as marvelous museums. Get an overview of both aspects of the city with your guide before making your way to the enormous Christmas tree and famous Christmas Market in the historic heart of the city. Or opt for a completely different kind of shopping experience with a visit to the spectacular 10-story Zeil shopping mall and the Kleinmarkthalle. Spend your last evening at the Captain's Farewell Reception and Gala Dinner. 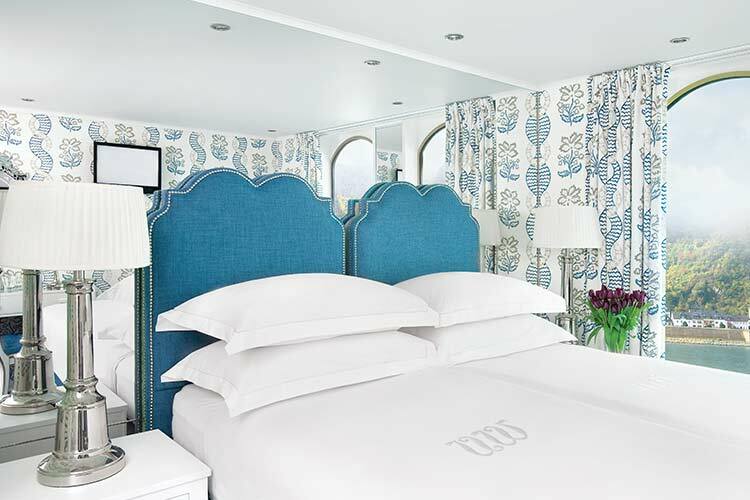 Disembark the ship and transfer to Frankfurt International Airport for your flight home. 7 breakfasts, 5 lunches, 7 dinners. All meals on board, prepared using the finest and freshest ingredients. Cultural enrichment, including a Signature Lecture: "Christmas Traditions in Germany"